Entering the Richard Ginori flagship store in Florence. Florence’s Museo delle Porcellane has been welcoming visitors since 1973. Not suiting everyone’s purse, but definitely worth a close look! Irene Berni is attending the launching of Richard Ginori’s Babele service. I didn’t bat an eyelid – well, barely, – and did take my friends to Florence’s Museo delle Porcellane. And guess what… they all fell in love with it! Whenever I happen to be in the Boboli Gardens in Florence, I can’t help walking all the way up to the Casino del Cavaliere hilltop, where the view of the unspoilt Tuscan countryside is absolutely breathtaking, and where the Porcelain Museum has been welcoming visitors since 1973. 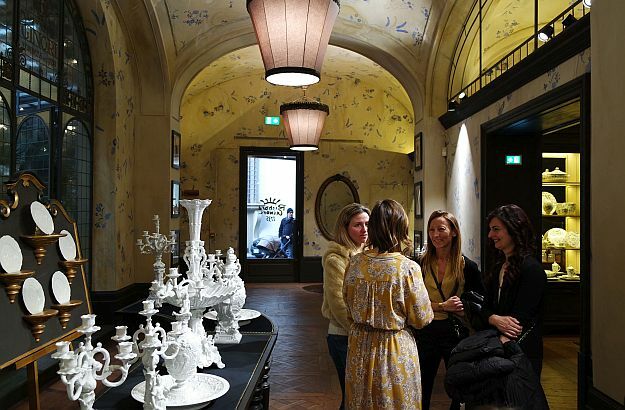 Home to an impressive collection of ceramic pieces from all over the world – the oldest ones being those which belonged to Gian Gastone, the last Medici Grand Duke (1671-1737), – this museum is where I first discovered, many years ago, the work of the renowned Richard Ginori manufacture, founded in 1735. In Italy, Richard Ginori is a household name. 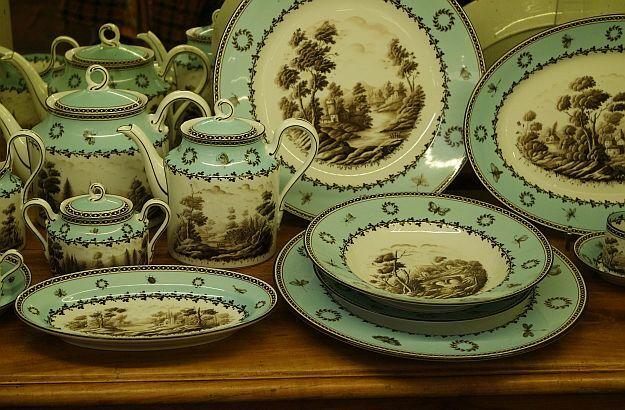 Sure enough, the delicate, beautifully crafted plates, cups and tureens stamped with this brandname do not suit everyone’s purse – I could only afford a single espresso cup twenty years ago! Still, they deserve to be contemplated at close range. The manufacture’s latest design, the Babele service, is simply awesome. 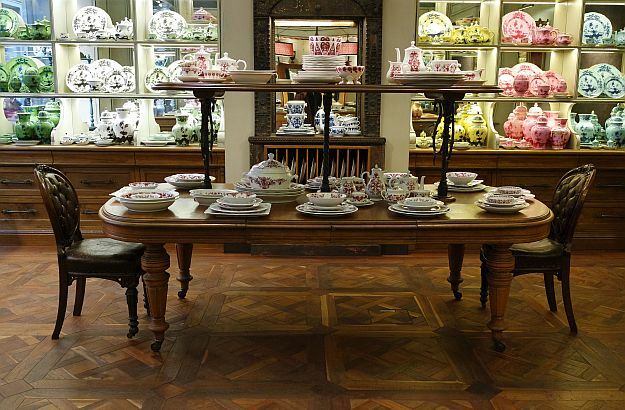 Even the venue of the Richard Ginori flagship store in Florence is worth a visit in its own right. 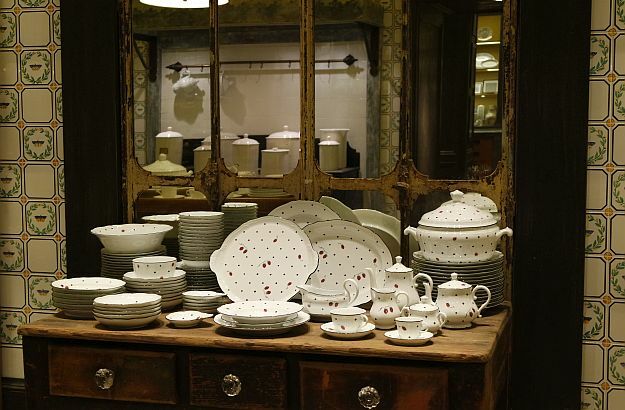 Centrally located on Via dei Rondinelli, it was painstakingy redecorated a few years ago after the Gucci group acquired the Italian manufacture, and it reopened in 2013. On a side note, the famous Milanese designer and architect Giò Ponti – whom I write about in a previous article, as you may remember, – was appointed as art director of Ginori in 1923. 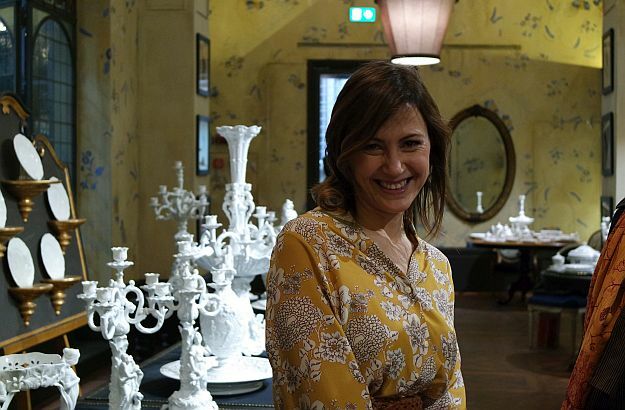 I also recommend you to pay a visit to Irene Berni’s highly favoured design and lifestyle blog. 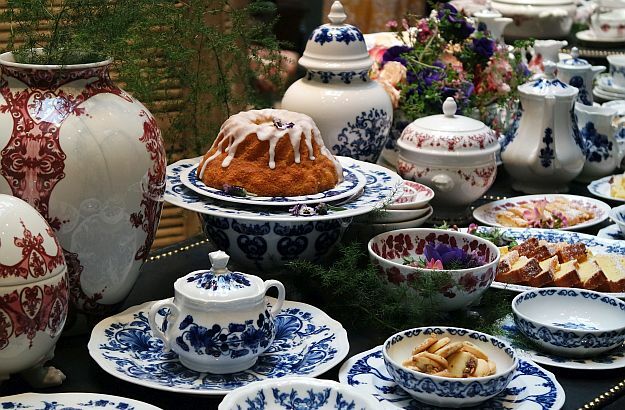 One of her articles recently reminded me that hand-painted porcelain – when crafted and arranged with passion and creativity – is not at all passé and old-fashioned, but actually quite the opposite.